Jenna Ortega is an American actress best known for her work in television series like ‘Jane the Virgin’ and ‘Stuck in the Middle’. Let’s take a look at her childhood, life, career, age, birthday, family, and some fun facts. Jenna Marie Ortega is a American teenage actress renowned for her portrayals in popular television series like ‘Jane the Virgin’ and ‘Stuck in the Middle’. Beginning her career as a child artist at 8, she has been successful in creating a decent position for herself in the entertainment industry. Her debut role was that of a ‘Girl’ in an episode of the TV series ‘Rob’. It was followed by other projects including TV series ‘CSI: NY’ and ‘Rake’ and films ‘Iron Man 3 and ‘Insidious: Chapter 2’. Her big break came when she landed up playing ‘Young Jane’ in the critically acclaimed and Golden Globe winning satirical romantic comedy-drama TV series ‘Jane the Virgin’. 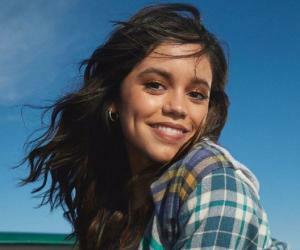 She has also won hearts by portraying a young engineering prodigy, Harley Diaz, the central character in Disney Channel’s single-camera situational comedy TV series ‘Stuck in the Middle’. She can also be seen tickling the funny bones as Nina in ‘Know It All Nina’ and as Darcy, one of the main characters in Netflix's sitcom TV series ‘Richie Rich’. Her other ‘Disney Channel’ endeavour includes giving voice-over as Princess Isabel in the channel’s computer-animated TV series ‘Elena of Avalor’. 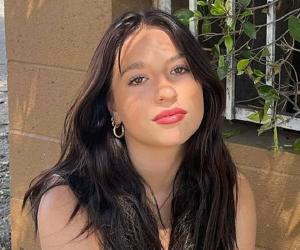 Jenna Ortega was born on September 27, 2002, in Coachella Valley, California, United States. She is the fourth child of her parents and she has a Mexican and Puerto Rican ancestry. 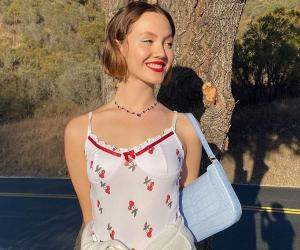 She grew up with her four siblings, two sisters, Aliyah and Mia, and two brothers, Markus and Isaac, in the desert valley in Southern California, the Coachella Valley. 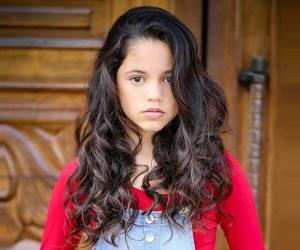 Ortega developed interest in acting at just five years of age, although, at that time, her mother also thought it to be a fleeting attraction of a kid. However, when her parents saw that she was quite serious on pursuing it, they made contacts with agents that led her to get chance for auditions. This young Latina forayed into the world of acting at the age of 9 with the bit role of a ‘Girl’ in the 2012 American sitcom TV series ‘Rob’. She appeared in the sixth episode of the series titled ‘The Baby Bug’ that was aired on February 16, 2012, and viewed by around 10.65 million viewers. Following ‘Rob’, she portrayed the role of Aimee Moore in the ninth season of the popular American police procedural TV series ‘CSI: NY’ in one of its unique episodes titled ‘Unspoken’ that was aired on October 19, 2012. She made her debut on big-screen with the critically acclaimed box-office hit ‘Iron Man 3’, an American superhero film sequel to ‘Iron Man’ and ‘Iron Man 2’. She essayed the role of the Vice President’s daughter in the film that released in 2013 and emerged as the year’s second highest grosser. She was next seen in the James Wan directed and Patrick Wilson and Rose Byrne starrer ‘Insidious: Chapter 2’, an American supernatural horror film that released on September 13, 2013. The film was a blockbuster and saw her playing the part of Annie. She played a recurring role, Zoe Leon, in the 2014 American comedy-drama TV series ‘Rake’. That year she also landed up with the iconic role of Mary Ann in the American direct-to-video comedy flick ‘The Little Rascals Save the Day’ that released on April 1 by ‘Universal Pictures’. The May 2, 2014 released comedy TV series ‘Know It All Nina’ featured her in the title character of Nina where she displayed her comic skills with great élan. The Will Eisenberg directed TV short ‘The Massively Mixed-Up Middle School Mystery’ which released on August 1, 2014 featured her in the role of Elena Mendoza. Juggling between small and big-screen projects while yet to attain her teenage, Ortega got her big break when she bagged the recurring role of Young Jane (age 10) in the critically acclaimed and popular American satirical romantic comedy TV series ‘Jane the Virgin’. ‘Jane the Virgin’ premiered on ‘The CW’ on October 13, 2014. The series has earned Ortega much recognition and accolades for her performance of the central character’s younger version at age 10. Out of the four younger Janes seen in flashbacks, Ortega’s version is seen most frequently. She played one of the main roles of Darcy, a best friend of the central character in the situational comedy ‘Richie Rich’. The Netflix series that aired for 2 seasons releasing on February 20, 2015 and May 22, 2015 respectively comprising 21 episodes saw her singing as well. The August 21, 2015 film ‘After Words’, directed and produced by Juan Feldman starring Marcia Gay Harden, saw her playing the role of Anna Chapa. One of her most remarkable portrayals till present that gave her much fame and recognition is the role of Harley Diaz in Disney Channel’s American single-camera sitcom TV series ‘Stuck in the Middle’ that debuted on February 14, 2016. ‘Stuck in the Middle’ is about the Diaz family and especially revolves around Ortega’s character Harley, an engineering whiz kid who is the middle child of the seven kids of the Diaz family. The second season of the series, which thrived in garnering accolades, premiered on February 3, 2017. 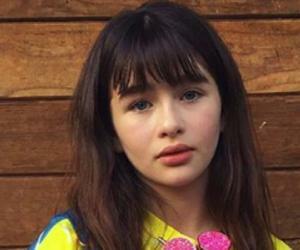 Apart from receiving applauds for portraying varied characters on-screen at such a young age, she has also won hearts by giving voice-over as Princess Isabel in Disney Channel’s American computer-animated TV series ‘Elena of Avalor’ that debuted on July 22, 2016. She went on to reprise the character of Princess Isabel in the November 20, 2016 released American computer-animated TV movie ‘Elena and the Secret of Avalor’. Ortega has also succeeded in garnering more than 3.3 million fans in her Musical.ly (now known as TikTok) account ‘jenna0rtega’. She enjoys tumbling, cheerleading and playing soccer during her free time apart from reading and spending time with family and friends. She also enjoys her spare time with her dogs, Brooklyn and Anna. At present she lives with her family in Coachella Valley, Southern California, United States.